Hi, I am using Vodia Version 5.2.5. Our client has Yealink T-29G with latest version registered on Vodia PBX. They are unable to change ring tone on any phone. Even on the phone they select ring 3 but when someone call phone plays ring 1. 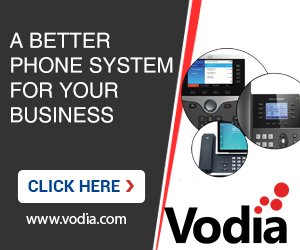 If we register these phone to other PBX then they are able to change the ring tone. Please advise. Should be possible to control the ringtones on the PBX however we have to tell the phone which ringtone to play. Are you currently provisioning the phone? Not right now. Phones we have already configured these are also not through Vodia MAC provisioning, its a simple configuration. Please consider using the provisioning. If we have to manually configure every phone, we will have a lot of work to do, for example with setting up the right ring tone. Under the extension there a setting called "Ring melody" Which a user can toggle and choose a ringtone however the yealink phone needs to be told 1st what to expect in order to play a ringtone, The phone supports 8 tones. It would be best to provisioning the phone so then you'll have the ability to manipulate the yealink template. Perhaps a video is in order here? and so on until you fill all of the "Internal Ringer Text" and the "Internal Ringer file" until you reach Ringer8. The yealink phone only has 8 internal tones. When the extension receives a call the vodia PBX will send an alert info header based on the ringer you choose on the extension level. Please give it a shot and let us know if you're successful.